Here is what a cute little bat taught me about running and biking in nature without taking some very simple precautions. Last Friday, shortly past midnight, me and my girlfriend were watching the nerve-wracking season finale of Homeland, when suddenly excitement broke out that paled everything happening on the screen. We had the balcony door open and like a flash a very hectic, very black little shadow dived into our livingroom and started circling the lamp. After a moment my girlfriend realized it was a bat and, culling on some of mankind’s most existential fears, got very, very terrified. This, I reckon, terrified the bat as well, and I now had the task of calming down both. I took my girlfriend out of the room and was then faced with trying to do likewise with the bat, preferably in the direction it came from. It was here that I learned about their excellent obstacle detection, because my attempts of catching it with a towel all ended in it making very sharp turns inches before being caught. After about twenty minutes the bat finally got exhausted and settled in the headrail of our venetian blinds, which meant I had to take the whole thing from the window. That done, I discovered that the bat was about half the size of my thumb and had managed to wedge itself under the metal rod that moves the blinds up and down. Attempts to get it out of there with the end of a pencil, a small screwdriver and the towel all failed or couldn’t be done without possibly hurting the bat. I realized I had to use my hand to pull the rod aside and then the thumb and index finger of my other hand to gingerly pull the bat out. All this was greeted with screeches you would think an animal this small couldn’t possibly emit. You can’t imagine how much noise one of these cute little fellas can make. To make matters short, I managed to get the bat out, but not without it attempting to bite me. It was too small to break my skin, but I clearly felt it had decided that attacking my finger as representation of the much bigger enemy would suffice to save its dignity. I cupped it in my hands and let it fly back to its friends, reporting the adventure of a lifetime. The next day, Saturday afternoon, I settled on the couch and read up a bit on bats, having realized that I knew almost nothing about them beside their getting supporting roles in old horror movies. I learned that the one I saved was very young and on its first few flights, where they try to find a cave of their own after moving out from home. Also that many types of bats face extinction and that I did the right thing saving it. My self-congratulatory feeling didn’t last long, because I next stumbled upon an article that said bats you should never ever handle with bare hands, because around here they are the only animals where you still run a serious risk of getting rabies. Rabies, that has about 100% mortality rate if not treated immediately. The German equivalent of the CDC advises on its website that even if you only got nibbled on by a bat, you should get a vaccine, because saliva from the bat might have gotten into one of your mucous membranes and the virus that way may enter your system. Cue some afternoon excitement going to the nearest hospital and finding out what has to be done. Which included the doctors, because that hadn’t happened yet to them either. But I finally got the correct vaccine and am now awaiting a couple more shots. So why am I telling you all this? Well, when the nurse asked me when I last had a tetanus shot, I had to admit that it had been more than twenty years ago. Which is not very wise if you do a lot of sports outdoors. Moreover, I had been rather lax about taking precautions in general. A tetanus shot protects you from bacteria living in the ground that can cause really, really painful muscle contractions called “lockjaw.” Go jogging outside, stumble over something and scratch your knee and you run the risk of contracting them – tetanus bacteria are that common. I could have kicked my own backside for being an habitual jogger and never taking care of this. The other great risk you (quite literally) run into as a jogger, or, more precisely, anyone who spends considerable time in nature, are ticks – those tiny little spider-like creatures that live on blood. Ticks can carry a wide number of diseases, among them the very dangerous Rocky Mountain spotted fever and Lyme disease. 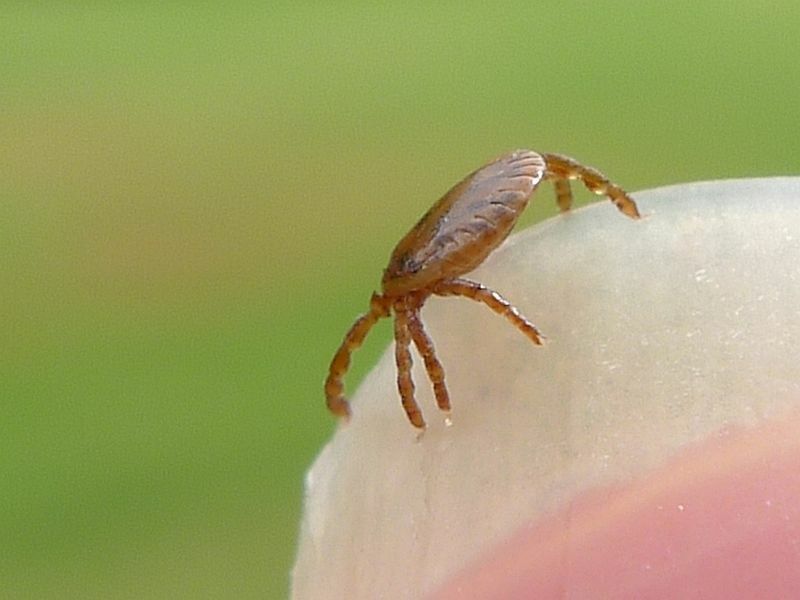 Ticks: not endangered and certainly not cute. They sit on the edges of grasses and shrubs and wait for a potential host (you) to come along, so just biking or running on trails can be enough to take an unwanted passenger along. A tetanus shot is good for ten years and done within minutes, so there is little excuse to not get that form of protection. Ticks are taken care of through applying an insect-repellent before you do cardio in an area where you might catch one (or rather, it you), followed up by an extra check under the shower afterwards. All those are very basic precautions and if you so far neglected them as much as I did, we better change that for the better! Me having gotten rabies from the bat is unlikely and it also is unlikely that a scratch or the first tick to come along will cause you certain death, but, hey, better safe than sorry! Bat pictures courtesy of the U.S. Fish and Wildlife Service Headquarters, tick picture courtesy of John Tann. Interesting story, Evil! I was relieved to hear that you took the precautions. While the possibility of contracting a virus like Rabbies is scary, I guess it could have been more immediately dangerous: http://www.guardian.co.uk/world/2013/may/29/beaver-kills-man-belarus. Joggers, don’t bother wrestling for that photo op! YIKES – I’m glad you went to the hospital!! 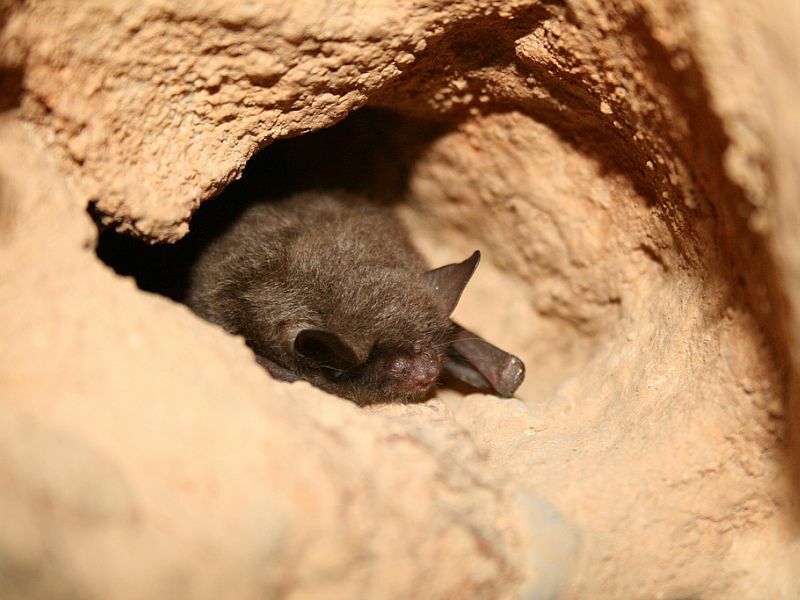 The whole bat story was freaking me out because I do know that bats often carry rabies and other diseases (our neighbors had 2 bats in their house last year – we studied up!!). And, I’m surprised that as health conscious as you are, you didn’t have an up-to-date tetanus shot – hope you fixed that issues, too!!! Sure did! I didn’t walk out of there without having each of my limbs used for a shot: right shoulder for tetanus, left and right thigh for the post-exposure rabies shots and left shoulder for the regular. Proud of you for treating the bat with kindness! I was a Zoology major in college. I spent some time spelunking in some very small caves and often saw bats within a foot or two from me hanging from the ceiling!